It is more than 15 years (!) ago that I discovered this hotel. 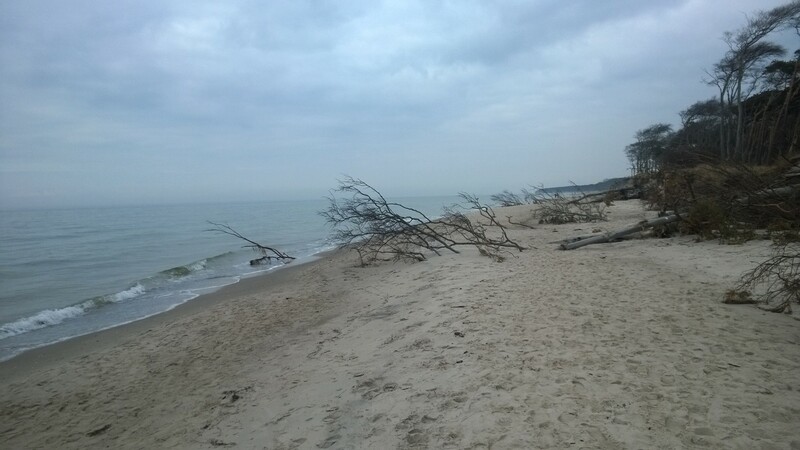 Perhaps only my second or third time at the Baltic Sea (Ostsee) we stood at a peninsula called Darß (http://en.wikipedia.org/wiki/Dar%C3%9F) one the most beautiful areas of Germany (Two to three hours driving from Berlin). It a place of peace, relaxation and refreshment! The fresh breeze from the sea, amazing play of colors of sky and light and surprising changes of weather make for a unique and marvelous getaway. 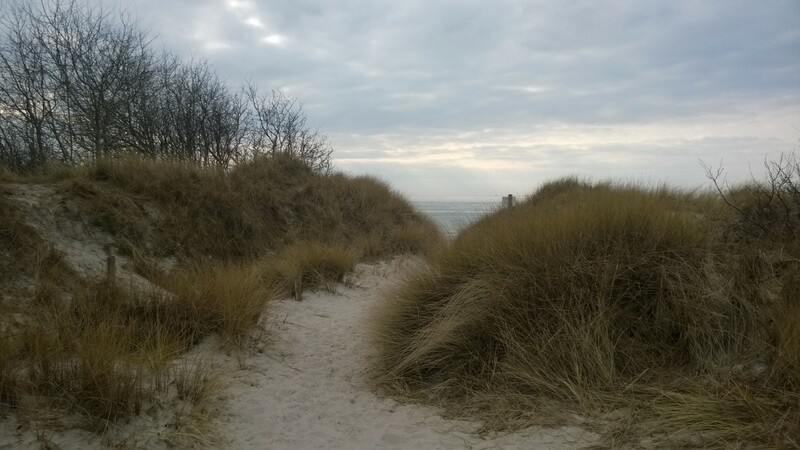 Crossing a bridge from Zingst, a village on Darß, toward the mainland brings you to Barth. 15 years ago – ten years after “DDR” (German Democratic Republic) – Barth is somehow a perfect case study of the transformation process within Germany. Thanks to ambitious city fathers, a church in the size of a small cathedral was built – some centuries ago this was the dominant building in this little town. Nearby you can still recognize the structure of the old town: marketplace, monastery and some older buildings. The rest is a mixture of 100 year old laborer’s and fishermen’s buildings along with ugly complexes built in the 70s. During Socialist times Barth was important due to the prominent fishing industry (fishing and canning) but also different dockyards. The town almost collapsed due to the end of socialist system. Thousands of people lost their jobs after almost all of the factories, docks and manufactures closed down. All privatization processes ended in liquidation. Pretty disastrous altogether for a place which had a modest but proud history! Directly at the harbor there was a corn granary – a pretty big storehouse. Out of nowhere some “western” investors – I would call them rather ambitious dreamers – took a sizable risk: they bought this huge storehouse, hired Austrian and other architects and rebuilt the whole building into an appealing, modern and incomparable hotel : Speicherhotel Barth. 99% of the people of Barth probably only shook their heads and called this idea insane – how can someone build a hotel in an area with such huge social problems and unemployment? Every young person left the areas at this time just to get a job with better salaries somewhere in the Western part of Germany. While I had my first Cola – due to a hangover – on the terrace of the hotel, I was very much surprised by the wonderful architecture of the hotel and impressed also by the bravery of the investors, who did invest not only a lot of money but also love and blood! They created an amazing building which combined conservation of the history of this quite dominant building, its agricultural heritage, and all elements of an individual, charming and mainly modern – perhaps even trend-setting – hotel. For structural reasons, they couldn’t remove the core of the building and had to fit all rooms into the original structure of the storehouse. Because of this, each room is quite narrow. Almost all of the rooms are on two levels and are made up of two areas: an entrance and small living area, a spiral staircase then leads you up or down to the bedroom. The result of this is actually quite a large space for each guest. On the inside, many walls are exposed and you can touch the old wooden beams. Floors are covered with natural materials. 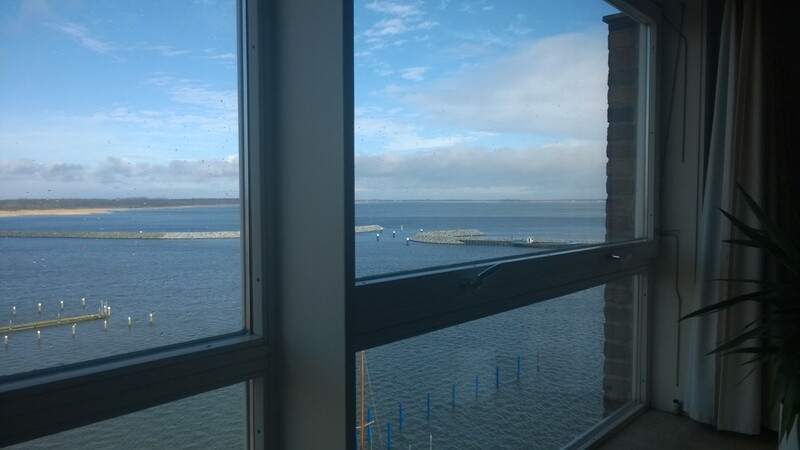 All rooms facing west have windows overlooking the harbor (waterfront), the other side isn’t less attractive – it faces some kind of interesting garage. You will see an amazing selection of useless old machines, cars and other things you would never imagine are worth holding on to. When I was a child my brother and I copied such places while we played with Playmobil. On the roof of building they added another floor out of glass and steel (lacquered white). There are wonderful suites and studios – most of them very large, on two floors and very well furnished. In the basement of the hotel there is a smaller spa area offering only a Finnish sauna, but in a nice atmosphere. Aside from this there (was) a wine cellar, but I will come back to this a bit later. Since the hotel offers quite a large number of rooms, the concept at the very beginning included wonderful conference facilities! On the first and ground floor are two rooms which you can rent for workshops but also parties. In general this hotel is a perfect location for any kind of workshops. Please don’t misunderstand: this isn’t a congress hotel as the maximum capacity of a workshop shouldn’t be more than 50 people. Last but not least, there is a great restaurant. High ceilings, modern columns, brick walls, wooden floors and a fireplace – a perfect combination of modern, traditional, old and inspiring items for a really tasteful restaurant. Some of the furniture is antique. The cuisine has been almost always rather regional, unfortunately not too inspiring but always very solid, fresh and certainly made with a lot of love. I would assume it isn’t very easy to hold a young and inspiring chef too long, there as it isn’t the place for much experimentation. I believe most of the usual guests enjoy the food very much as it is, because this area of Germany is still rather poor in regard to good food. Nevertheless I must say that the last time I was there the food was less good as almost all my previous visits. The lintel stew actually was pretty good – but not special. The selection of regional lamb was rather disappointing as it wasn’t well prepared, rather tough and very basic. Simply speaking it was sad considering the potential quality of meat. Another disappointment of my last stay was the new wine menu. For more than ten years someone collected and selected very nice wines. I admit that this was a very exclusive and impressive approach as you would never find really good wine at any place at this area – at least about ten years ago (I learned about the Portugieser of Klingenmünsterer https://avdwineandfood.wordpress.com/2015/03/16/klingenmunsterer-maria-magdalena-portugieser-rotwein-s-2009/). The actual wine selection is clearly a concession to the guests of the hotel. Fair prices indeed, but keeping prices low as well which means almost nothing unique or special has remained on the list. This was very, very different from some years ago, when the hotel offered special evenings in a separate wine cellar – as they had a really enjoyable selection of mostly German wines but also some nice ones from other countries, too. Anyhow, I do like to recommend this hotel due to its special style, its location and most importantly, because of the crazy and brave founders of the place who were missionaries of good taste, of comfortable and unique accommodation and trendsetters more than 15 years ago. This is a very good place for a weekend but also – what I appreciate about it even more – a great place for working. Due to the location it is inspiring. Though I wish they would hold onto the inspiration of the very beginning of this adventure, although currently they face a fair amount of competition – which has appeared in recent years on the peninsula. 25 years after the wall came down this area isn’t recognizable anymore – but in almost all perspectives it is much better now (again). You find all relevant information about this hotel at: http://www.speicher-barth.de/. GOOD IDEA TO START THIS BLOG! Wish you many followers. 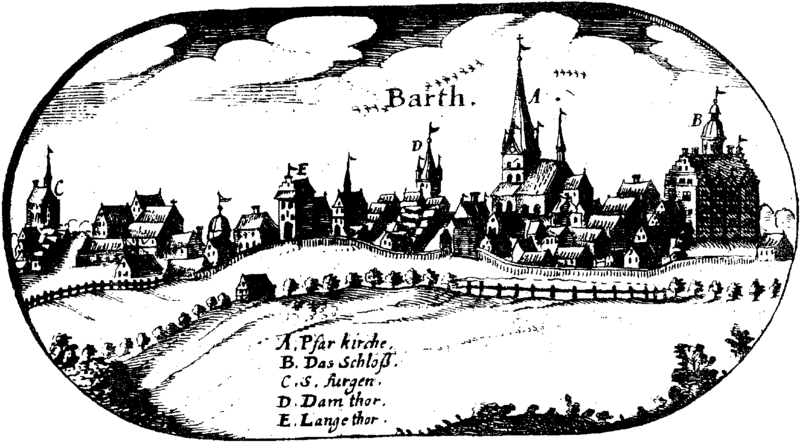 Even better that Barth appears here in that early stage.Thank you for this nice description of my former home town and one of its best places. I agree with you in all points. Let me add one thing: When I stayed in the Speicherhotel last Christmas, the breakfast was outstanding. They had an enormous variety of food of very good quality, which you will hardly find in any hotel of this smaller size. Children were particularly happy to bake their own fresh waffles. And the smell of the dough in the hot waffle irons was simply tempting.